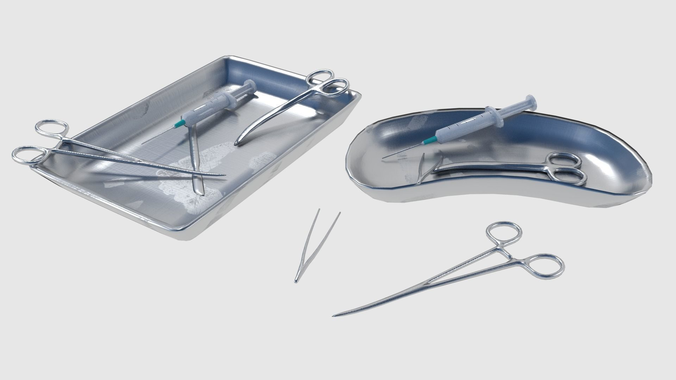 Realistic surgical items made in Blender and rendered with Blender cycles rendering engine. There are two versions of each item, one low poly and one regular poly. See description for more details on each item. Fingerprint textures on the trays are just a little extra and can be easily removed.